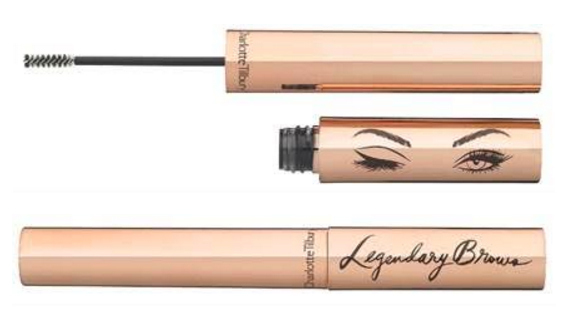 All Posts Tagged With: "Brow Pencil"
The secret behind Charlotte Tilbury’s Legendary Brows is the combination of the new lightweight Sculpt Gel formula and her Miracle Precision Brow Brush. The Miracle Precision Brow Brush acts like a natural compass that captures even the smallest of baby hairs – coating, shading and grooming your way to perfect brows. It never misses a hair for instant and maximum definition. Introducing MAC Prêt-à-Papier. Available April 22nd– July 2010. Craft-paper couture – an inspired idea cut like a pattern and whipped up into a frisky little “Funny Face” frock. The Prêt-à-Papier collection was a Project Runway challenge of sorts, with paper as the source, the instigator of ideas, the beginning of something simply, basically beautiful. Lipstick, Lipglass, Eye Shadow, Paint Pot, Chromagraphic Pencil, Studio Fix Lash, Impeccable Brow Pencil, Sheertone and Mineralize Blushes, and Nail Lacquer in a seamless spectrum of parchment-to-vellum beiges, with an occasional, clever colour spill, coral among the most au courant. Problem: You made all these amazing beauty resolutions to start the New Year. But why is the payback taking so long? Solution: Instantly brighten your face and play up your eyes with just a few simple tweaks. This January, Bobbi makes it easy to keep all of your New Year resolutions with her Makeup Face Lift Collection, which allows you to instantly brighten your face and play up your eyes with just a few simple tweaks. All Ages, All Races, All Sexes is our credo. Now MAC takes the “One World” idea further than ever, with a multi-culti colour story, intent on a universal focus – spectacularly shaded and shaped brows for all, because beautiful people come in colours! Miraculously matched to the individual, Impeccable Brow Pencil is the ultimate artist’s tool to fill, lengthen and shape, with a firm tip that sharpens application for high-performance precision. Penultimate Brow Marker, in one shade suits all, is a liquefied glide adept at the all-important arch. But that’s not all: Lipstick, Lipglass, Eye Shadow and Nail Lacquer shade extensions speak your language, a match for every international skin tone. Available January 7, 2010 through March 2010 at all MAC locations. 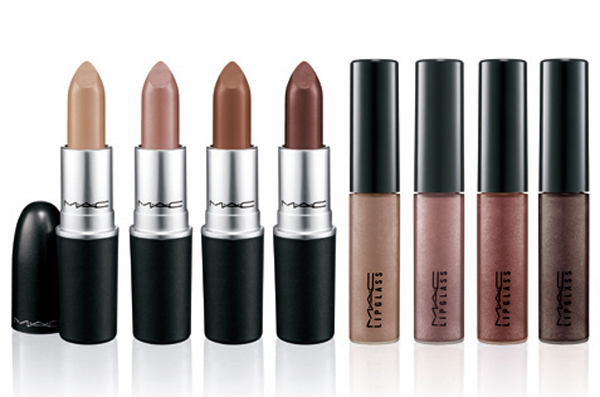 Introducing MAC Post Holiday Collections 2010. Available Jan – Mar 2010. MAC Post Holiday 2010 features nudes and warm, comfy colours in Warm & Cozy and All Ages, All Races, All Sexes and shimmery, icey winter shades in Love Lace. In the Studio debuts MAC Studio Fix Lash, a new mascara that features a synth-rubber moulded brush for ultimate definition, while MAC In Lillyland, a collaboration with Palm Beach’s Lilly Pulitzer, brings out the South Florida sun with brilliant colors. A fireside fantasy far from the maddening crowd is undeniably appealing. Seek refuge in the warmth, the glow of skin rosy with Refined Golden Mineralize Skinfinish, Shadesticks in Cuddle, Nurture and Snuggle shades, cozy as a mug of cocoa on a bearskin rug. Care Blends Essential Oils in Sweet Orange + Lavender, or Grapefruit + Chamomile feels soothing and sultry when elements are harsh and extreme…add MAC signature innovation with Mineralize All-Over Moisture Lotion, a new permanent product, and see new radiance, revivified lustre, optimum health. Like going on retreat and communing with nature, it’s an earthly way to bring back what the city takes away, and a sensual solution to make life simple, but luxurious. Winter beauty begins here. Available December 26, 2009 through February at all MAC locations. Watch Marta’s video blog for today talking all about brows & her favorite brow pencil: Diorshow Brow Styler Ultra-Fine Precision Brow Pencil, $28. Diorshow Brow Styler Ultra-Fine Precision Brow Pencil is so easy to use and to control. The fine pencil mimics the small hair on your brows which gives you a natural look when you fill in your brows. 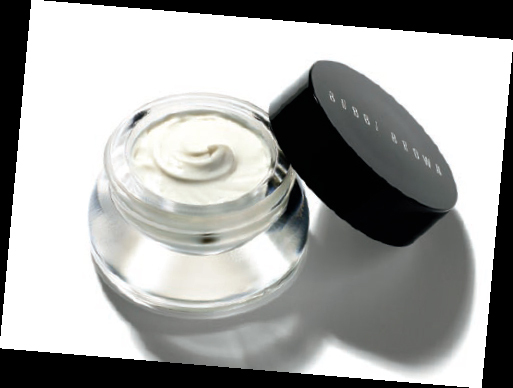 It is light and thin so you can carry it in your makeup bag, for a quick brow touch up anytime. I don’t leave my house without it! Kim Kardashian wore MAC Cosmetics to the MTV Video Music Awards aka VMAs in New York on Sunday, September 13th, 2009. Visit www.maccosmetics.com for additional product details.